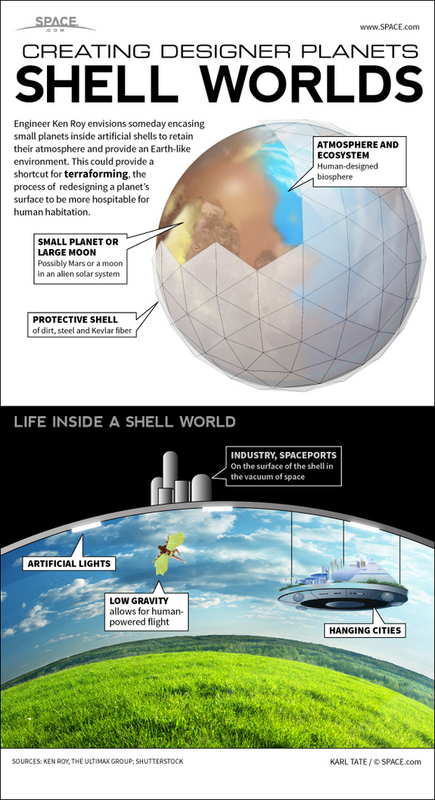 Mars or perhaps a moon in another solar system could be encased in a shell of dirt, steel and Kevlar fiber. With air pressure raised to a safe level and enough oxygen in the atmosphere, people could live freely on the surface. A small planet would have low enough gravity to allow for human-powered flight. Move over, Hope Diamond. 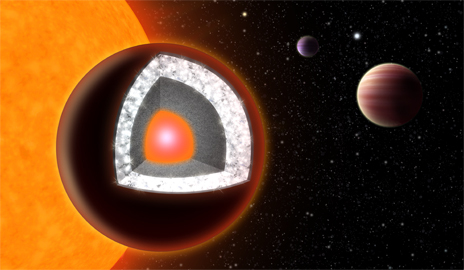 The most famous gems on Earth have new competition in the form of a planet made largely of diamond, astronomers say. The alien planet, a so-called “super-Earth,” is called 55 Cancri e and was discovered in 2004 around a nearby star in our Milky Way galaxy. After estimating the planet’s mass and radius, and studying its host star’s composition, scientists now say the rocky world is composed mainly of carbon (in the form of diamond and graphite), as well as iron, silicon carbide, and potentially silicates. At least a third of the planet’s mass is likely pure diamond. 55 Cancri e is the first likely “diamond planet” to be identified around a sun-like star, though such worlds have been theorized before. 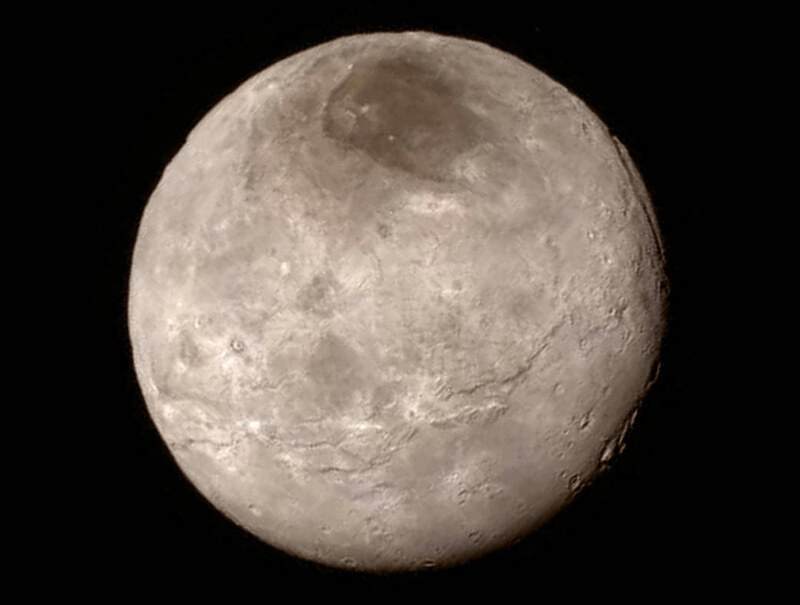 Planets like this are vastly different from our Earth, which has relatively little carbon. “By contrast, Earth’s interior is rich in oxygen, but extremely poor in carbon — less than a part in thousand by mass,” said study co-author and Yale geophysicist Kanani Lee. Previous studies of this planet suggested it might actually be covered with oozing “supercritical fluids” — high-pressure liquid-like gases — seeping out from its rocks. But this idea was based on the assumption that 55 Cancri e had a similar chemical makeup as Earth, Madhusudhan said. The new findings suggest the planet has no water at all. The revelation of the planet’s diamond nature means that it could have very different thermal evolution and plate tectonics processes than Earth, which could create bizarre types of volcanism, seismic activity, and mountain formation. 55 Cancri e is one of five planets encircling a sun-like star called 55 Cancri, which lies about 40 light-years from Earth in the constellation of Cancer. This star is so close it is visible to the naked eye in the night sky. The researchers hope to make follow-up observations of this star system to better determine the star’s composition and to analyze 55 Cancri e’s atmosphere. This information could bolster the idea that the planet is a diamond world. 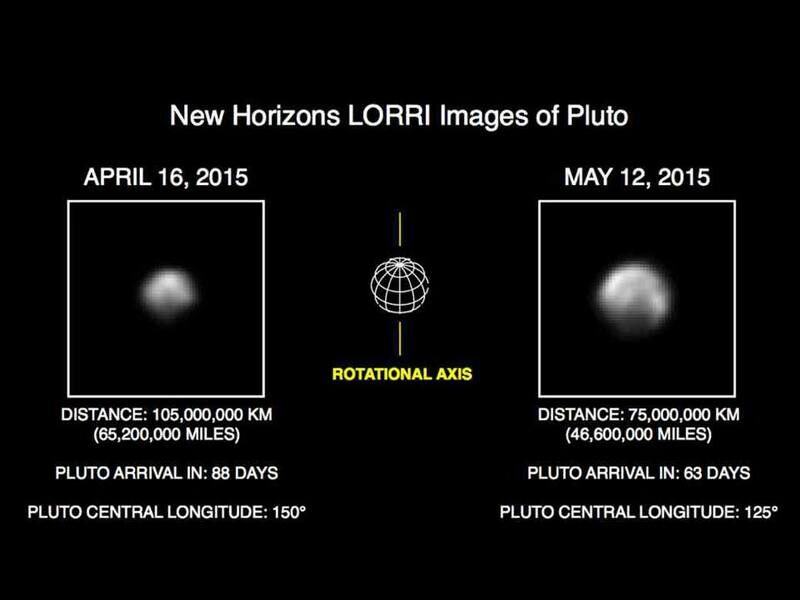 A paper reporting the new findings has been accepted for publication in the journal Astrophysical Journal Letters. Mars – why do we want to go there? 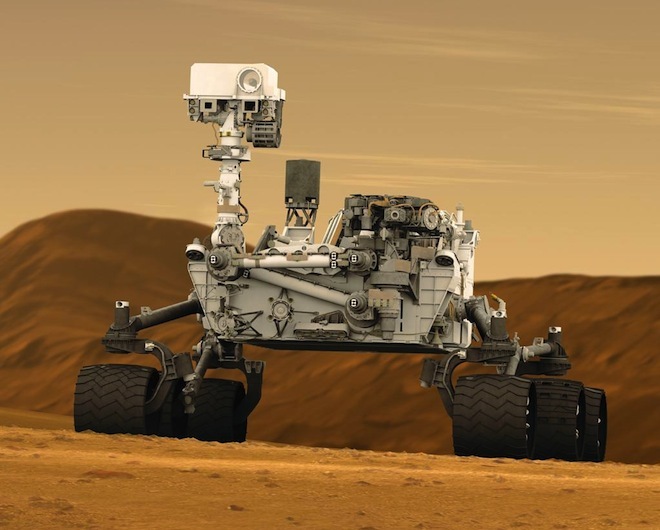 On August 6, 2012, NASA’s Mars Science Laboratory (MSL) rover, Curiosity, is expected to land on the surface of the Red Planet. 4 Aug 2012: Here’s an intriguing look at Gale Crater, the landing spot for the Mars Science Laboratory’s Curiosity rover. 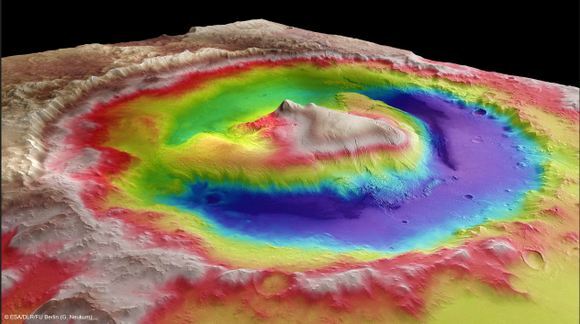 This image was taken by the High Resolution Stereo Camera (HRSC) on the Mars Express spacecraft and it is color-coded based on variations in terrain. The lower elevation, shown in purple, is the target landing area, but scientists and engineers want to get the rover as close as they can to the big mountain, Mount Sharp — which rises 5.5 km above the crater floor — where all the interesting geologic features are. Why are human beings so fascinated by Mars? 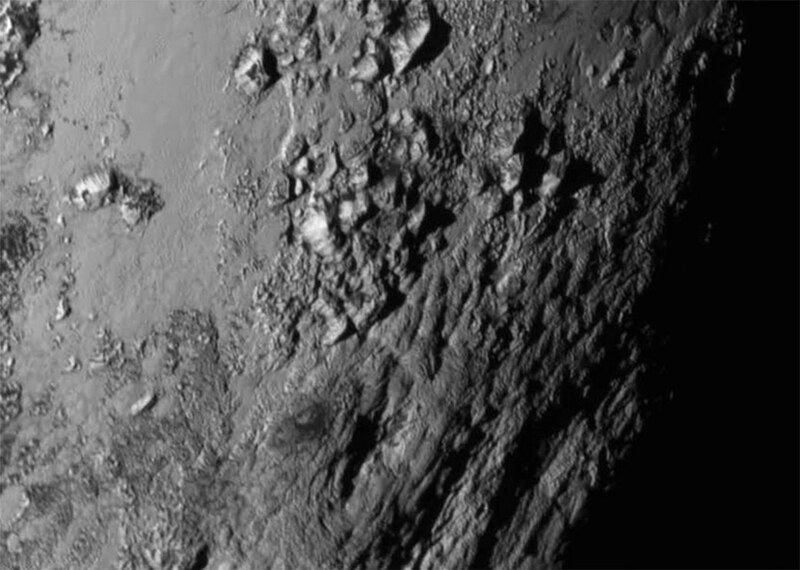 Why are we sending multi-million dollar science labs there? 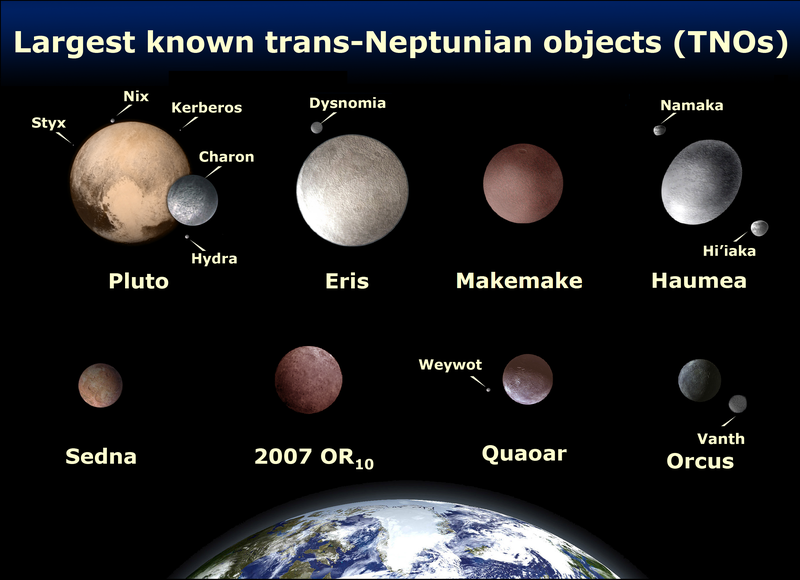 Here is an excellent explanation, from one of the many NASA websites. Upon reaching Mars, we again have a world with resources that can be used to expand our capabilities. The martian atmosphere, consisting mostly of carbon dioxide, can be processed to release oxygen for life support or propellant use. Carbon monoxide, which could be a moderate performance rocket fuel, is the coproduct. By combining this oxygen with a small amount of hydrogen, water for a variety of uses could be produced for only a fraction of its mass if brought from Earth. One good aspect of atmosphere utilization is that no mining is involved. Simple gas handling equipment can be used, providing a much more reliable system. Life support technologies routinely deal with the conversion of CO2 to other compounds, including methane. This process was discovered nearly one hundred years ago and is still used in many chemical plants today. A direct application of this technology to the martian atmosphere would allow for the production of oxygen, methane, and water by bringing only a small amount of hydrogen. Thus, large quantities of propellant could be leveraged from minimal import mass. As described earlier, a rocket engine using methane and oxygen could be developed for use in both lunar and martian spacecraft. This could enable another large cost savings for the SEI by utilizing those materials available at the Moon or Mars. Planetary scientists agree that water is available at the poles of Mars in the form of ice. It is likely, but not certain, that water is available elsewhere on the planet, perhaps as a permafrost layer or bound as a mineral hydrate. If the robotic missions in the early stages of the SEl provide evidence of water, there is every reason to believe that a process can be developed to make it available for human use. It is likely that one could even extract enough water to produce both hydrogen and oxygen propellant for the launch back to orbit and even the return trip to Earth, thus reducing the size of the spacecraft leaving Earth for Mars. Telerobotic mining at distances as far as Mars is not practical, however, and totally automated systems would need to be developed. And, at the more accessible latitudes near the equator, any water is likely to be found at a lower depth, compounding the problem. The two moons of Mars, Phobos and Deimos, may also be rich in water. Processing at the extremely low gravity present on these bodies will require some innovative equipment. While early exploration scenarios suggest it would be difficult to bring this promise to fruition, future operations on or near Mars could easily make use of the potential within these bodies. Many asteroids are believed to be of similar composition and are also likely targets for utilization once we have honed our ability to operate highly complex equipment at distances so remote that teleoperation is not feasible. For the near term, however, the SEI requires the development of an ISMU program which focuses on the Moon and Mars. Olympus Mons, a volcano on Mars, is 15 miles high and .~75 miles across at its base, dwarfing all other known volcanoes in the solar system. This view shows the caldera protruding through a cloud layer in the northern hemisphere of Mars. The presence of an atmosphere provides a Mars program with a resource unavailable at the Moon. Chemical procedures exist to convert carbon dioxide, which is 95 percent of the atmosphere, into products such as oxygen, water, and methane. The carbon dioxide (CO2) that makes up 95 percent of the atmosphere of Mars can be a valuable starting material for the manufacture of critical products. Unlike lunar resources, CO2 can be had by merely compressing the atmosphere. Carbon dioxide itself can be used to support plant growth at an advanced outpost. Both carbon and oxygen are important elements which have many possible uses at an outpost. There are several well understood chemical reactions that we can use to produce oxygen, methane, water, and perhaps other materials. Oxygen can be produced by passing CO2 through a zirconia electrolysis cell at 800 to 1000deg C. Twenty to thirty percent of the CO2 dissociates into oxygen and carbon monoxide. Separation is accomplished by electrochemical transport of oxide ion through a membrane. A prototype reactor using this chemistry has been run for over 1000 hours. Using such a scheme, we could bring a small unit to the surface of Mars which would then continuously make oxygen for life support, propellant use, or further processing. The only additional item we would need to supply is the power to run it: a 12kW unit would produce about one metric ton of oxygen per month. This oxygen can be converted into water if we also bring a small supply of hydrogen. Since the molecular weight of hydrogen is 2 and the molecular weight of water is 18, we can leverage 2 kilograms of hydrogen into 18 kilograms of water. The mass savings would, at some manufacturing rate, pay back the mass of the oxygen production unit. After that, we would get water for only the price of getting the hydrogen to Mars. If we choose to import hydrogen, there are other things we can do with it in addition to making water. A chemical reaction which converts CO2 into methane (CH4) was discovered in 1899. This is known as the Sabatier reaction. Along with the CO2, hydrogen is passed over a finely divided metal catalyst at an elevated temperature. Methane and water vapor are produced. By taking this water vapor and splitting it to obtain oxygen and hydrogen (which is recycled), we can completely convert the imported material into 4 times its mass of fuel. We also get the oxygen we need to burn this fuel in a rocket engine, fuel cell, or internal combustion engine. When combined with the production of additional oxygen via the zirconia process described above, only 4 kilograms of hydrogen can be converted into 72 kilograms of a rocket propellant mixture. Other well known reactions have been practiced for decades which can also accomplish similar conversions. Fischer-Tropsch chemistry is practiced in the petrochemical industry in a variety of ways. It converts carbon monoxide and hydrogen into methane and water. The Bosch reaction can convert CO2 and hydrogen into carbon and water. The carbon could, perhaps, be used for advanced material production at an outpost once fabrication facilities are available. Eventually, we will obtain water from the environment of Mars. We would then not need to make water from imported hydrogen. Indeed, we could turn the situation around and use this water as a source of hydrogen, thus continuing to utilize the chemical processing capabilities we have developed. For instance, it would be even more favorable to produce methane from the atmospheric CO2 and water derived hydrogen. This would require the production of much less water than if we switched the space transportation system to a hydrogen-oxygen propellant system. It is also much easier to liquefy methane than hydrogen. With a large amount of hydrogen available, and a ready supply of CO2, we may consider going the next step and developing the ability to produce a large variety of products. If ethylene were produced from hydrogen and a carbon source, polyethylene can be made using technology available today. This material, or other carbon-based polymers, can then be extruded or molded to form habitats, furniture, pipes, and a variety of useful items. The petrochemical and natural gas industries can contribute a great deal of expertise in this area. Image: Artist’s conception of the process of terraforming Mars. 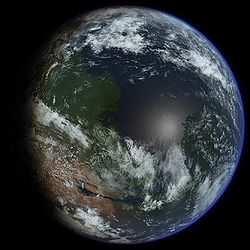 The terraforming of Mars is the hypothetical process by which the climate, surface, and known properties of Mars would be deliberately changed with the goal of making it habitable by humans and other terrestrial life, thus providing the possibility of safe and sustainable colonization of large areas of the planet. The concept relies on the assumption that the environment of a planet can be altered through artificial means; the feasibility of creating a planetary biosphere is undetermined. There are several proposed methods, some of which present prohibitive economic and natural resource costs, and others which may be currently technologically achievable. In many respects, Mars is the most earthlike of all the other planets in our Solar System. Indeed, it is thought that Mars once did have a more Earth-like environment early in its history, with a thicker atmosphere and abundant water that was lost over the course of hundreds of millions of years. Future population growth and demand for resources may necessitate human colonization of objects other than Earth, such as Mars, the Moon, and nearby planets. Space colonization will facilitate harvesting the Solar System’s energy and material resources. Image: Artist’s conception of Mars Terraformed. Additionally, in the event of a catastrophic extinction event, such as the meteor thought to have killed off the dinosaurs 65 million years ago, Earth’s species, including humans, could live on this second habitable planet. Click on the link below to continue reading this fascinating entry, updated on Wikipedia 1 Aug 2012. Occurring in pairs separated by over a hundred years, there have now been only eight transits of Venus since the invention of the telescope in 1608. The next will be in December of 2117. 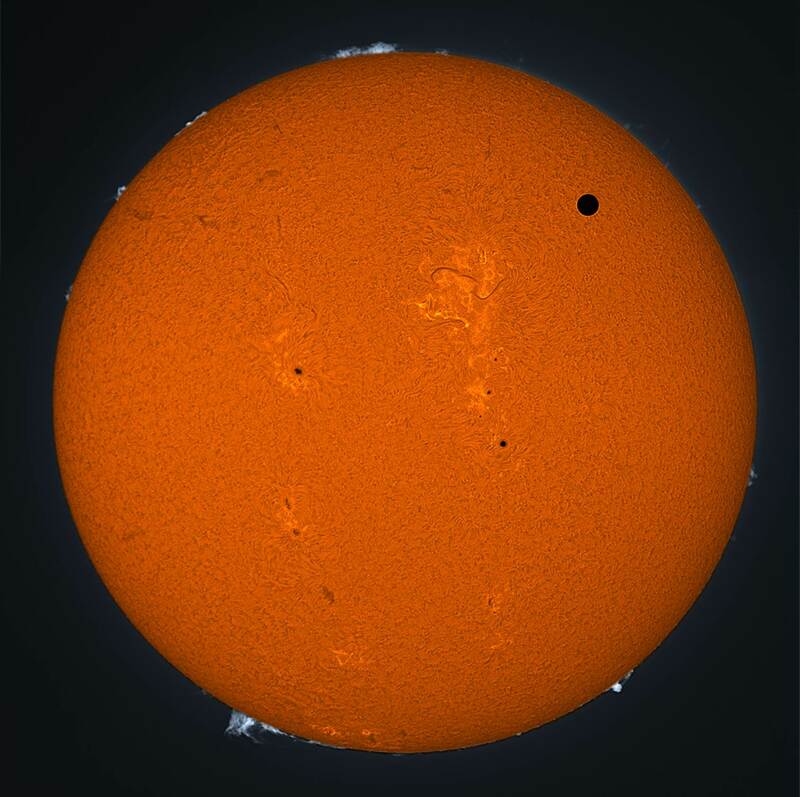 But many modern telescopes and cameras were trained on this week’s Venus transit, capturing the planet in rare silhouette against the Sun. In this sharp telescopic view from Georgia, USA, a narrowband H-alpha filter was used to show the round planetary disk against a mottled solar surface with dark filaments, sunspots, and prominences. The transit itself lasted for 6 hours and 40 minutes. Historically, astronomers used timings of the transit from different locations to triangulate the distance to Venus, while modern astronomers actively search for planets that transit distant suns.